S/D600-1200 High power integrated device Medicine Strong-Laser Optoelectronic Technology Tianjin Co., Ltd.
Hyperspectral Image Applications Shanghai Wentek Photonics Technology Co.,Ltd. 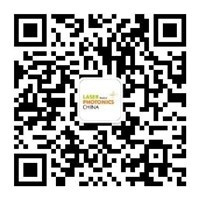 Specim IQ Spectroscopy Specim, Spectral Imaging Ltd.
Photodynamic and photocatalysis application laser Biotechnology Beijing Laserwave OptoElectronics Technology Co., Ltd.
Femtosecond laser beauty instrument Therapies QINGDAO FREE TRADE LASER TECHNOLOGY CO.,LTD. G2V AAA Solar Simulator Spectroscopy Beijing Peak Science Technology Co., Ltd. Observation unit with coaxial illumination Microscopy and imaging SHANGHAI PHOTROLAND I&T CO., LTD.
N90 6-Axis Hexapods Applications Harbin Core Tomorrow Science & Technology Co., Ltd.